Sometimes I’ll look at my stats and see that someone has found my blog based on a particular search. Maybe I know the answer–but it isn’t really clear in my blog postings. Then I feel like I’ve let that searcher down. This morning there was a search “baby emu falls down, rolls and gets back up.” Where are you searcher? I imagine that you’re expressing concern about your baby emu, that maybe you think there’s some terrible neurological problem. Fear not! Come back, come back. I have the answer. Your baby emu is playing! Yes, that’s right, we call it the emu dance. Have you ever noticed that when creatures play (including us) they mimic adult behaviors (behaviours if you’re a Brit or former colonial)? Kids build forts or play house. Kittens roll and tussle–chase things and pounce. Emus dance. After all, without arms there’s not a lot of variety in the play department. That “drop, roll, and run” is a prelude to an emu courting dance. If your baby emus is doing it, it means she/he is happy. They are playing in the only way an emu knows how. 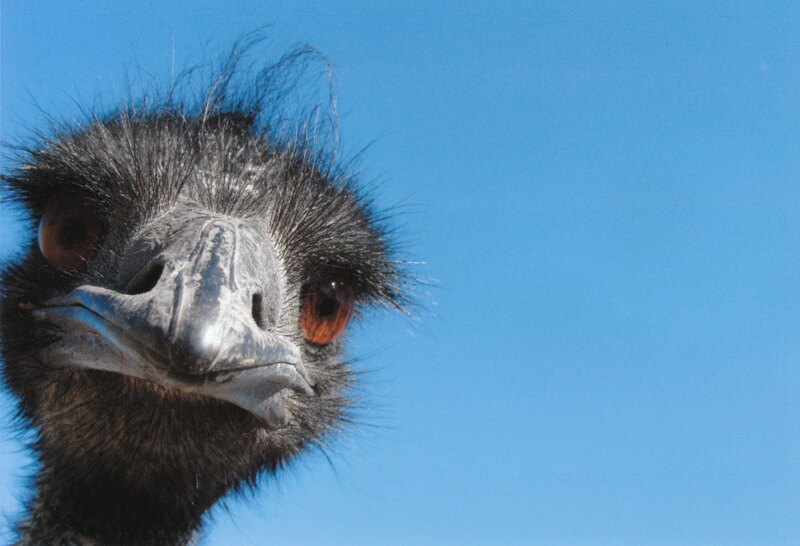 (Often, immediately afterward they’ll race around at high speeds–running is another emu talent used in play.) The really fun part is that sometimes, they’ll do it to music! It’s a sight to behold. They love music, especially if the music has whistling sounds or flute solos–high notes that sound like Papa emu’s whistling tones. Also, if you can whistle, it a great way to summon your emu, because they are already pre-wired for that sound. Now, for the meantime, I’m back to my volunteer work.